2. 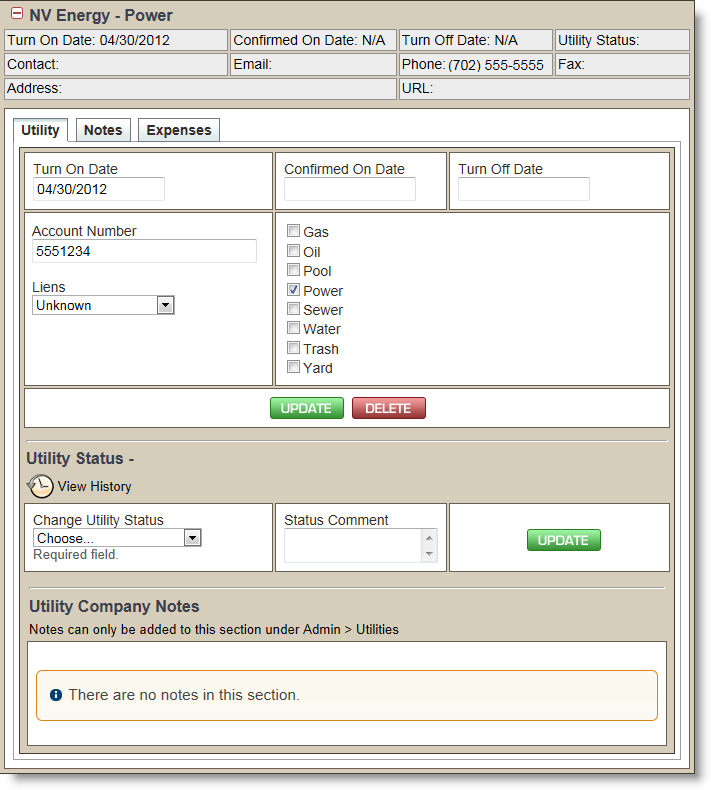 Click the + adjacent to the utility company name. The window will expand as shown in the screen shot below. 3. From the Utility sub tab, click the red Delete button shown circled below. 4. A confirmation dialog box will appear. Click YES to confirm the deletion. The utility company will be removed. Deleting a company at the property level will not remove them from Broker Brain. 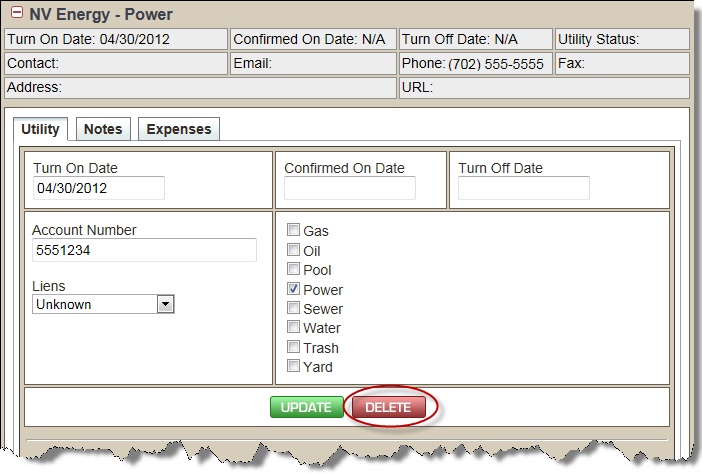 Once a utility company is added into the system it cannot be removed.